The use of nanolimes for consolidation of mural paintings arises from the lack of effective and compatible consolidants for this type of substrates; the use of nanolimes was later extended also to limestone and lime-based mortars, as an alternative for silica-precursor consolidants (e.g. tetraethoxysilan - TEOS), which had shown to have a limited effectiveness and compatibility with calcareous substrates. Nanolime dispersions are characterized by a very small size of the lime particles, which should provide a proper penetration within the porous network of most building materials. In fact, a homogeneous and in-depth penetration of the consolidant is a crucial requirement when dealing with decayed stones and plasters/renders. The effectiveness of nanolime dispersions reported in literature appears controversial. Some authors observed a proper penetration and moderate consolidating action, whereas others report poor penetration, poor consolidation action and sometimes the formation of a white haze on the treated surface. There is no agreement concerning the factors affecting the transport and deposition of the lime nanoparticles within a porous network, and the causes of the observed drawbacks are not well understood. Is nanolime a suitable alternative to silica-precursor consolidants (e.g. TEOS) for the consolidation of calcareous substrates? – How and up to which extent can the effectiveness and compatibility of nanolime be improved? How can deposition of nanolime in depth be improved and the appearance of a white haze on the surface avoided? – How can nanolime properties be fine-tuned to improve the effectiveness and compatibility of the treatment? – What is the effect of different application methods on the effectiveness of nanolime consolidation? This research investigates and elucidates the behaviour of nanolime products for consolidation of calcareous substrates. Based on the developed knowledge, it proposes and validates a methodology (including solvent modification and application protocol) for improving the consolidation effectiveness of nanolime dispersions, making these a suitable alternative for TEOS products. Firstly, an experimental campaign was carried out in order to understand the penetration and deposition of commercial nanolimes on coarse porous calcareous substrates (Maastricht limestone). The main cause of the poor nanolime deposition in-depth was identified in the back-transport of the nanoparticles towards the drying surface, as a consequence of the high volatility and low kinetic stability of the dispersions. The modification of the nanolime properties, through the optimization of the solvent, appears thus a feasible strategy to improve the in-depth deposition of the lime nanoparticles. New nanolimes were synthetized and dispersed in a selection of solvents conferring different stability and drying rate to the obtained nanolime dispersions. A conceptual model, correlating the properties (i.e. drying rate and kinetic stability) of nanolimes dispersed in different solvents, to the moisture transport behaviour of the substrates to be treated, was conceived. The model was experimentally validated on coarse porous (Maastricht) and fine-porous (Migné) limestones. Experimental results confirmed the predictions of the model that nanolimes dispersed in solvent with lower volatility and stability (e.g. water or butanol) have a good in-depth deposition within coarse porous networks. On the other hand, solvents with higher volatility and guaranteeing higher kinetic stability (e.g. ethanol or isopropanol) to the relative dispersions, should be preferred for substrates with fine porous networks. Fine-tuning the properties of the nanolime dispersion (by modification of the solvent) to the moisture transport behaviour of the substrate, is shown to be a successful strategy for improving in-depth deposition of lime nanoparticles. On the basis of the obtained results, the solvent mixture was further fine-tuned using ethanol-water mixtures. Results proved that ethanol-based nanolime, mixed with a minor amount of water (5%), can provide better nanoparticles in-depth deposition within coarse porous substrates (e.g. Maastricht limestone), when compared to dispersions in pure ethanol. The application procedure of nanolime dispersions was also studied and optimized, this step being a crucial aspect for a successful consolidation; nanolimes were applied both by capillary absorption (method commonly used for laboratory tests) or by nebulization (method widely used in situ) on a coarse porous limestone and a mortar. The research showed that results obtained by application through capillary absorption do not always correspond to those obtained by nebulization. The effectiveness and compatibility of nanolimes with improved properties and a fine-tuned application protocol were finally verified. Fresh and weathered Maastricht limestone, as well as lime-based mortars, were treated. Results showed that nanolime dispersions can guarantee an in-depth consolidation both in laboratory mortar specimens and weathered limestone, with only a moderate alteration of the total porosity and of the moisture transport properties of the investigated substrates. Therefore, nanolime dispersions, provided that they are properly formulated and applied, can be a suitable and compatible alternative to TEOS for the consolidation of coarse porous substrates. 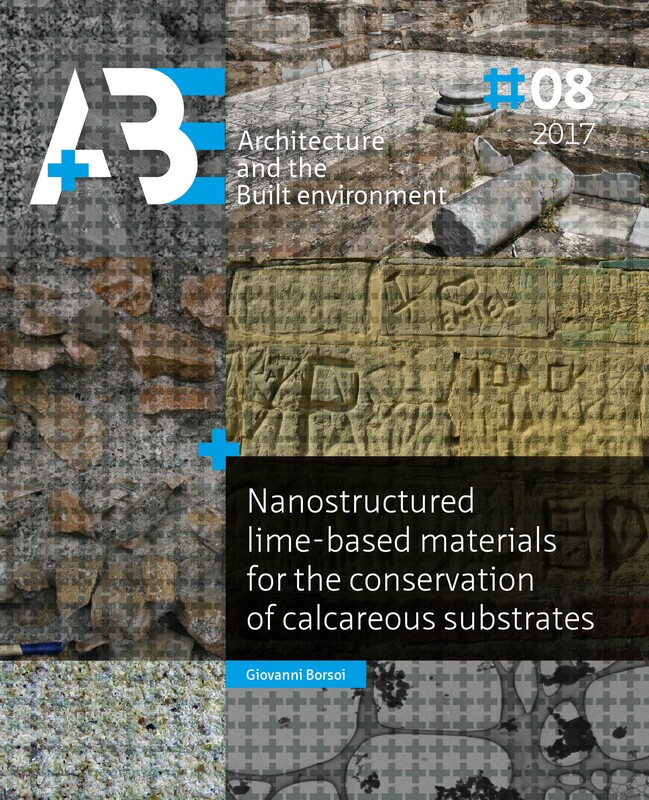 This dissertation contributes to define guidelines to support restorers and professionals in the choice and application of nanolime dispersions for consolidation of calcareous substrates.